The new optoNCDT 1750 laser sensor is designed for precise and high speed displacement, distance and position measurements. New evaluation algorithms and enhanced components provide highest accuracy and dynamics. The unique Real Time Surface Compensation (RTSC) feature enables measurements against a wide range of material surfaces. 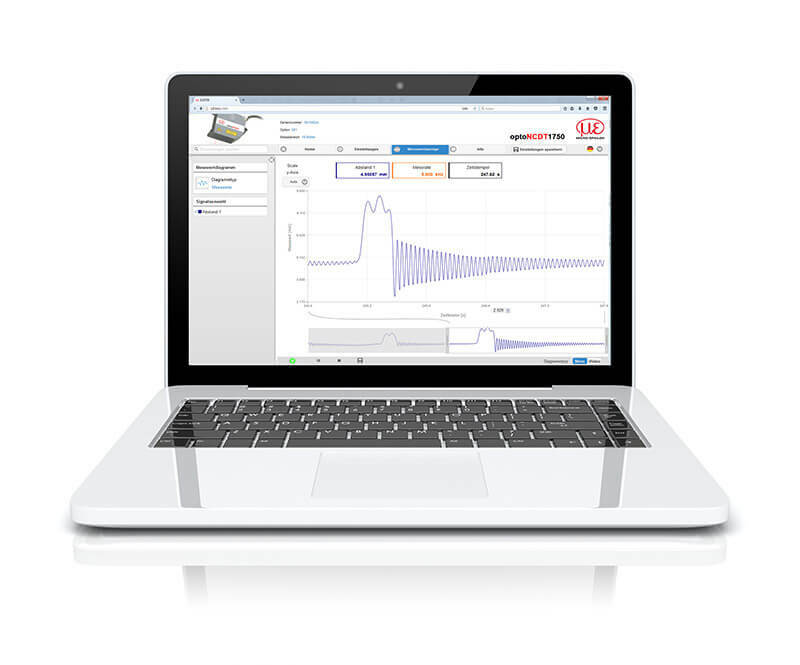 All optoNCDT 1750 models are operated using an intuitive web interface. The settings for the measurement task can be quickly selected using predefined presets. Due to its compact, robust design and different interfaces, the optoNCDT 1750 is ideal for industrial applications in automated machines and production plants. 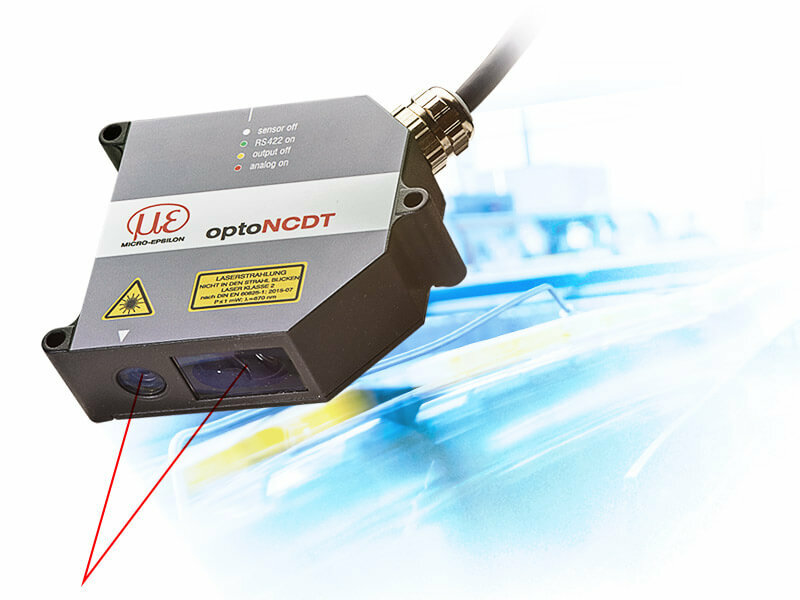 optoNCDT 1750 laser sensors are extremely compact and equipped with a completely integrated controller, enabling a straightforward, rapid mounting and wiring. Due to its extremely compact size, the laser sensors can easily be integrated into restricted installation space. The optoNCDT 1750 operates almost regardless of any material and color due to the RTSC surface compensation feature. The real-time surface compensation feature (RTSC) determines the amount of reflection from the target surface during continuous exposure and in real-time. The exposure time or the amount of light produced by the laser is optimally matched to the reflection characteristics of the target surface. This enables extremely reliable measurements even on reflecting surfaces. The new web interface simplifies set up and configuration of the laser sensors without requiring any additional operating software. Presets are available for numerous targets such as metals, plastics and organic materials. In the web interface, the measuring rate is continuously adjustable up to 7.5kHz and can be individually adapted to the respective measurement task. Peak selection and suppression of interference peaks enable reliable measurements on oily components in the construction of engines and transmissions as well as on coated materials, measurement objects behind glass or on film-sealed components.